in Abruzzo nature is life, love, excursions, and fun! Italy hosts 50% of the entire world's artistic, cultural, architectural and historical heritage; Rome, Florence and Venice are obviously the quintessence of the Italian genius but every small village and even the countryside have witnessed the brilliance of our architects, artists, painters, carpenters, craftsmen, engineers etc. Italy is indeed of one the most sought-after, all-year round tourist destinations and this enables a potential buyer to produce an income out of her/his property by letting it out as a short-term rental. 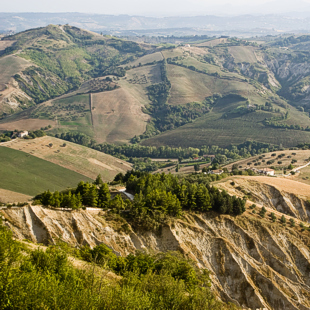 Why should you prefer Abruzzo to other beautiful regions of Italy? - 3 National Parks and 1 Regional Park make Abruzzo the "green region of Europe"
- A vast selection of different kinds of properties to choose from: mountain chalets, country cottages/farmhouses, seaside apartments, modern villas, historical palaces etc. - An affordable property market compared to other more fashionable regions like Tuscany, Liguria, Umbria and Le Marche, to suit "every wallet size"..